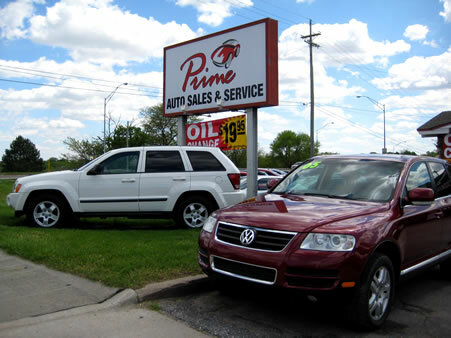 Prime Auto Sales and Service, established in 2003, is a locally owned family business. We offer quality previously owned vehicles and a full-service shop, with ASE-Certified mechanics on staff at competitive and affordable prices. We not only have competitive oil change prices and automotive services/repairs, we have a wide variety of affordably priced, previously owned vehicles. All of our previously owned vehicles have passed our 100+ Point Quality Inspection prior to them being considered “ready to purchase.” We also offer an in-house buy here/pay here financing option, or bank financing with approved credit. Our customers continue to come from near and far because, when you visit us, we treat you like family – with honesty and integrity. 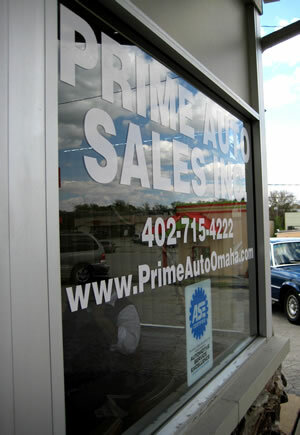 At Prime Auto Sales and Service, we welcome you to see for yourself what a unique local family business we really are. We thank you for the opportunity to satisfy all of your automotive needs from sales to service. And no, we are not a steak house,** but we do have plenty of candy – if you smile. *Most vehicles. Oil change prices include up to five quarts of oil and standard oil filter. Tax and disposal fee are not included. **Yes, people really have come in and said they thought we were a steak house.